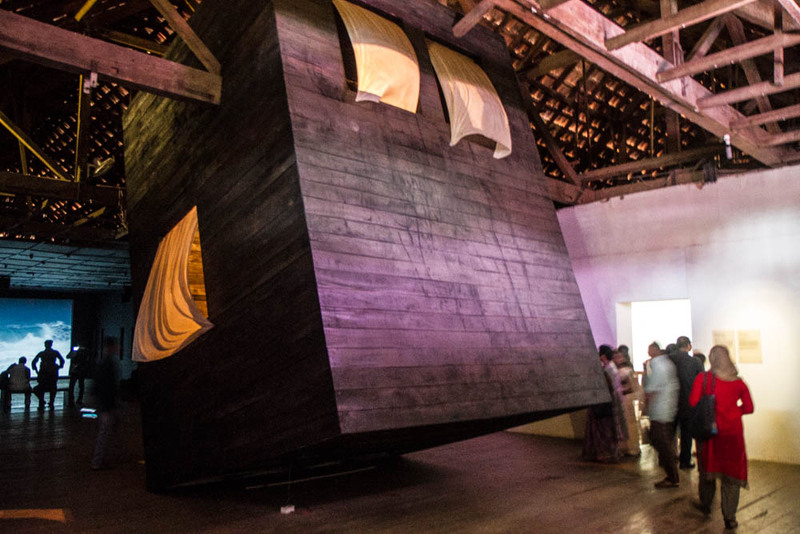 Contemporary artists participating in the third edition of Kochi-Muziris Biennale 2016-17 made reference to memoryscapes of Fort Kochi to revisit colonial histories, even as they excavated unknown accounts of the past. 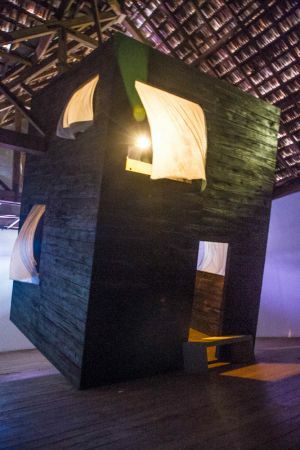 Dutch artist Gabriel Lester's installation titled "Kappiri Spirits" exhibited in the second floor of an erstwhile colonial building that once belonged to the Aspinwall Trading Company brought to foreground lesser-known tales of the spirits of the deceased Africans that dwells in the coastal town of Kochi. 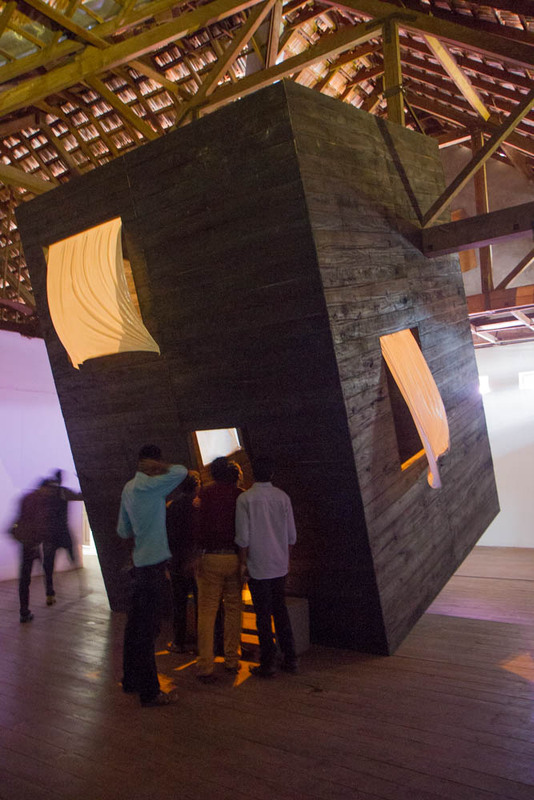 Lester's installation through its very scale, design, and conceptualization while interpreting the locals' beliefs in the African spirits, simultaneously created an alternative abode for the spirits to live. 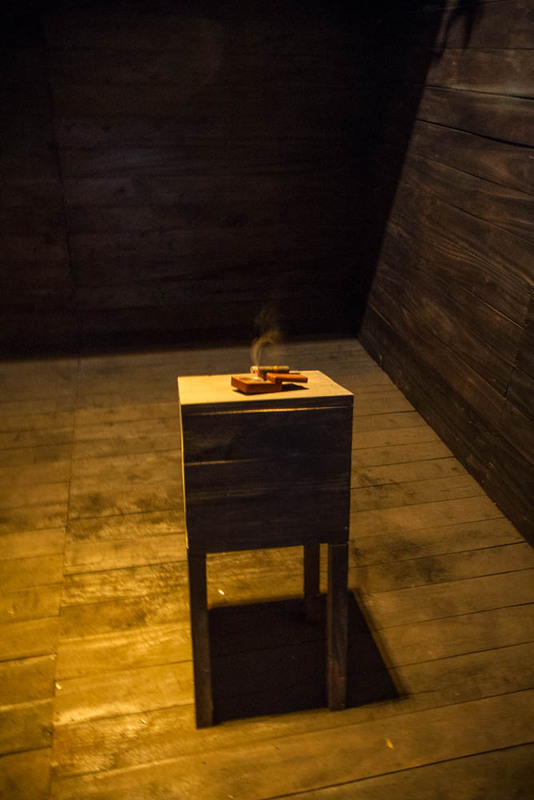 Here, the artwork became a space that rendered the presence of the spirits through votive offerings, lighting, and display of this very architectural installation. Lester's artwork in the Kochi biennale resembled a large wooden house, but was tilted like a boat swaying in the ocean winds. The window curtains looked like the sails of a dhow that were used in the Indian Ocean maritime trade. 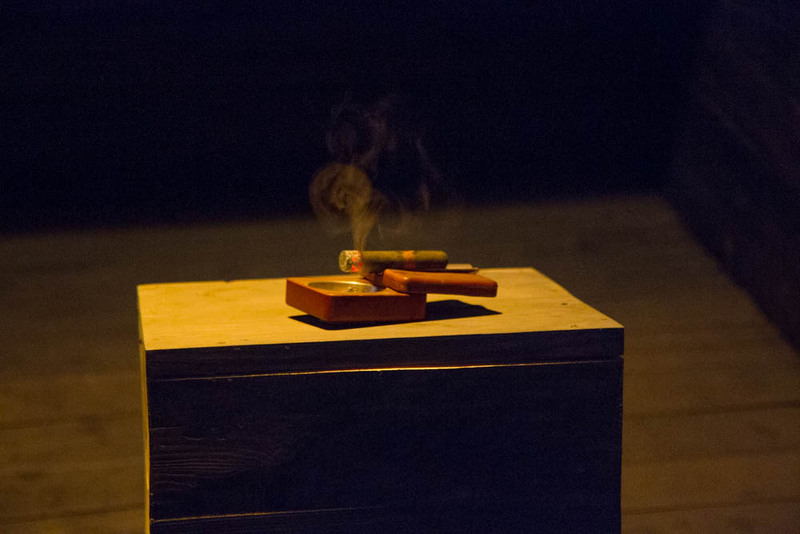 Inside the empty wooden house was a small desk and on top of rested a burning cigar--a votive offering often given to the African spirits to seek their benevolence and blessings. 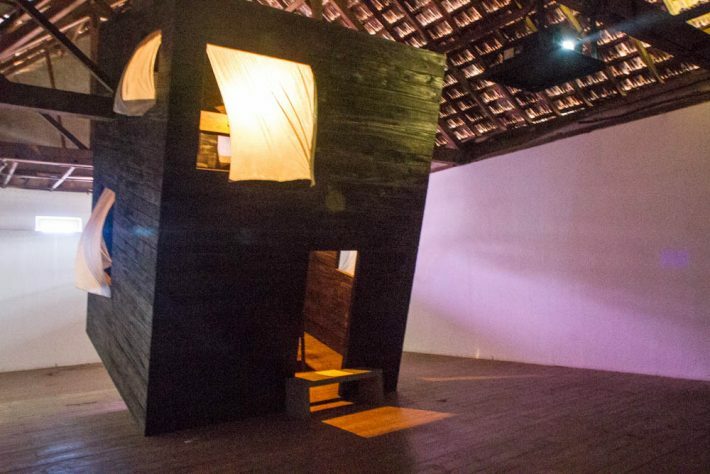 Lester used the installation to articulate subaltern histories and marginalized narratives of African slaves in colonial Kochi (Cochin).